The United States military might "struggle to win, or perhaps lose" a war with China or Russia, according to a congressionally-mandated report from the National Defense Strategy Commission. "America's ability to defend its allies, its partners and its own vital interests is increasingly in doubt," the report's authors wrote. "It might struggle to win, or perhaps lose, a war against China or Russia," according to the new report. 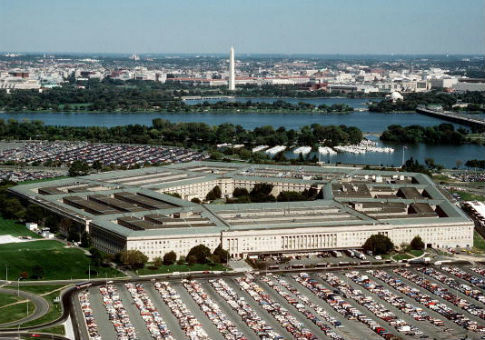 The National Defense Strategy Commission is a nonpartisan panel of 12 former national security officials that evaluates the U.S. defense strategy issued by the Pentagon at the beginning of the year. The commission's report is based on interviews with current and former national security officials, military and diplomatic officials, policy experts and a review of both classified and unclassified material. The report's conclusion echoes those of other recent reports, which have warned of the U.S. military's diminishing capabilities and the consequences of losing its edge over other countries. The new report provides a stark warning about the rising military capabilities of countries like Russia and China and how they challenge the U.S. with a mixed strategy composed of economic, diplomatic, political and informational actions. "Russia and China are challenging the United States, its allies and its partners on a far greater scale than has any adversary since the Cold War's end," the report states. Eric Edelman, the co-chair of the National Defense Strategy Commission, told "Intelligence Matters" podcast host Michael Morell that the U.S. military became good at combating terrorist forces while its capability to combat a state-versus-state war diminished. And in this report, I think what we had to wrestle with was the consequences of all those warnings having been ignored. And so we have over a very long period of time been engaged since 9/11 and you and I were both part of this, in a very long conflict with irregular forces, with terrorist forces around the world. We've gotten extremely good at combating those kinds of terrorist forces, and I would say the proof is in the pudding, which is since 9/11, the United States has not suffered a similar mass casualty attack of that kind. And it's not for lack of trying by our adversaries, as you yourself have written about. In that time, however Russia and China in particular, but other actors in the international arena, particularly would be nuclear powers, a new nuclear power in North Korea and a would-be nuclear power in Iran, have studied the way that we fight and that we're prepared to fight, and have developed a suite of capabilities that are meant to in an asymmetric way be able to counter the kinds of things we can do. So, for instance, you have seen, in the case of China, the development of very robust set of capabilities. Anti-ship cruise missiles, anti-ship ballistic missiles that create what strategists call– anti-access area denial problem. "They've learned from what we've done. They've learned from our success," Edelman added. "And while we've been off doing a different kind of warfare, they've been prepared for a kind of warfare at the high end that we really haven't engaged in for a very long time." In order to restore a U.S. military edge, the commission recommends an increase in defense spending by 3 to 5 percent above inflation. If the defense budget doesn't increase, the commission says the Defense Department should "alter the expectations of the strategy and America's global strategic objectives." The report recommends the rapid implementation of new technologies, modernization of the country's nuclear program, and creation of better strategies to retain military manpower, noting the number of people who meet the "required fitness and propensity to serve" has significantly declined. While previous reviews of the U.S. defense strategy issued warnings about a pending crisis, the 2018 commission states that we have already "reached the point of a full-blown national security crisis." "In this report, I think what we had to wrestle with was the consequences of all those warnings having been ignored," Edelman said. The report's authors will testify before Congress on their findings later this month. This entry was posted in National Security and tagged Defense Budget, Department of Defense, Military. Bookmark the permalink.